York Environment Forum is the voice for the environment in York, encompassing both the natural environment and the built environment. 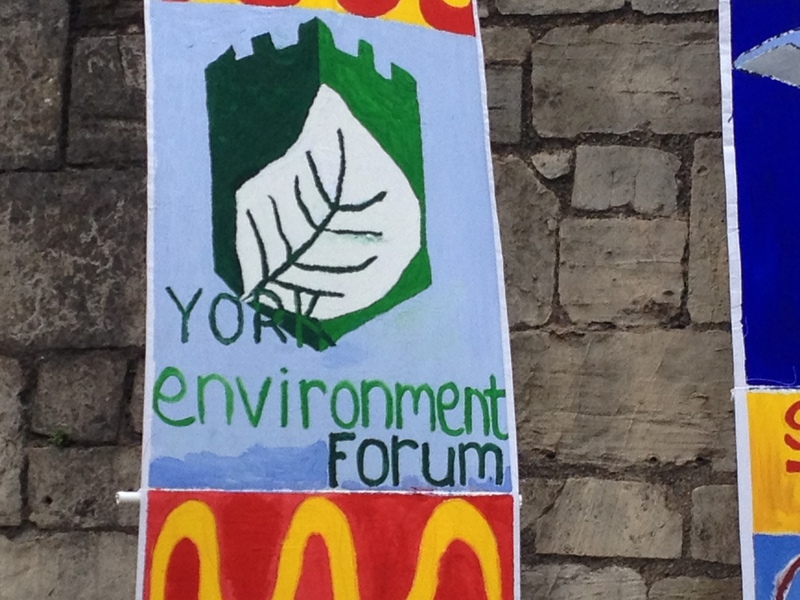 The Environment Forum has been operating for ten years and is one of the outside bodies that the City of York Council works in partnership with. Traditionally, the Forum has functioned as a ‘critical friend’ to the Council, commenting and writing reports on policies and strategies as they relate to York’s environment and, from time to time, campaigning on specific issues. Since December 2010, the Forum has taken on a more proactive role, engaging in a number of working groups with the Council and other partners (‘York is ENGAGEd’, Climate Week, Intelligent Travel York, One Planet York), founding a new group to promote tree-planting (Treemendous York), hosting and participating in debates (‘Powering York’, ‘Sustainable York’, Frack-Free York petition debate), exhibitions (Housing Design Awards exhibition) and local initiatives (information stalls, community banners). The Forum has pledged support to the One Planet York initiative. In February 2014, following an extensive consultation process, members of York Environment Forum elected to become a constituted organisation, enabling it to raise funds and do more effective and practical work. Information about membership and meetings and a link to our constitution can be found here. The Forum is run by a management committee comprising the Chair (Phil Bixby), Deputy Chair (Philip Crowe, who also shares the role of Minutes Secretary) and Treasurer (Penny Bainbridge).